Flip a coin. If lands on tails, deals 10 damage. If lands on heads, deals 23. Victim becomes trapped in a cone of bananas. Flip a coin, if heads Pokemon is paralyzed until trainer flips a coin and it lands on tails. 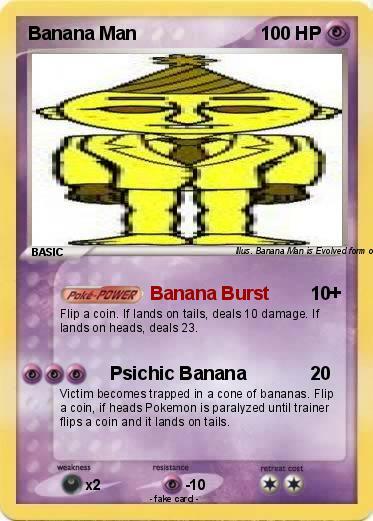 Illustrator : Banana Man is Evolved form of Banana boy.